SAN FRANCISCO: The alliance between automakers Renault and Nissan will launch more than 10 cars with self-driving technology over the next four years in the United States, Europe, China and Japan, the partnership’s leader said. The alliance also said it hired technology executive Ogi Redzic to lead its connected car efforts as senior vice president for connected vehicles and mobility services. Redzic most recently worked at mapping business Nokia Here overseeing the automotive business group. Vehicles with self-driving technology will debut this year, said Carlos Ghosn, CEO of Renault and chairman of the Renault-Nissan alliance. The cars will have a feature called “single-lane control” that allows them to drive autonomously on highways without switching lanes. Renault-Nissan will also launch an app for mobile devices this year that allows users to interact remotely with their cars, such as by controlling music or the car’s temperature. By 2018, Ghosn said the alliance will start selling vehicles with “multiple-lane control,” meaning they can autonomously change lanes on highways and navigate heavy traffic. By 2020, the alliance will have cars that can drive through city intersections and heavy city traffic on their own. 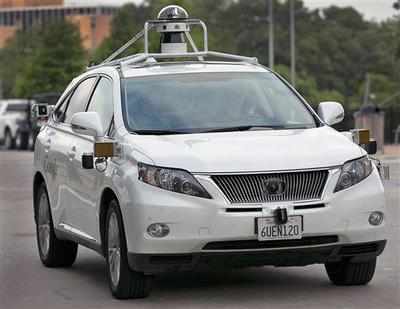 Several companies, including Tesla Motors and Google, are working to build self-driving cars and technology that allows users to control their cars from their smartphones. Renault-Nissan is a partnership between Paris-based Renault and Japanese carmaker Nissan that combined the companies’ engineering teams. They still operate as two separate companies.